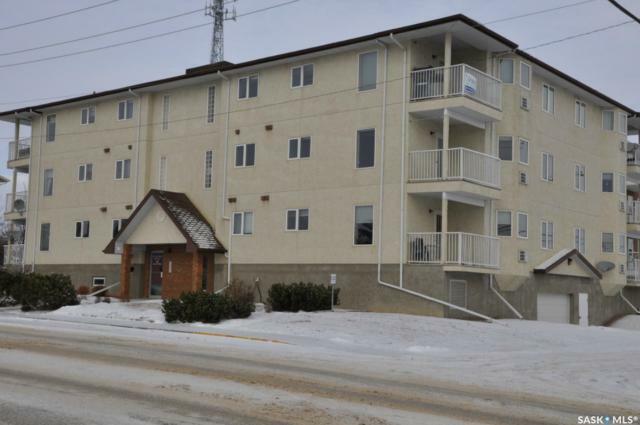 Two bedroom condo with elevator and an excellent location Walk to everything: Post office, Banks, Grocery Store, Drug Stores, Accountants, Lawyers, Optometrist, Chiropractor and more. Keep the car in the heated underground parking with 81" Clearance. 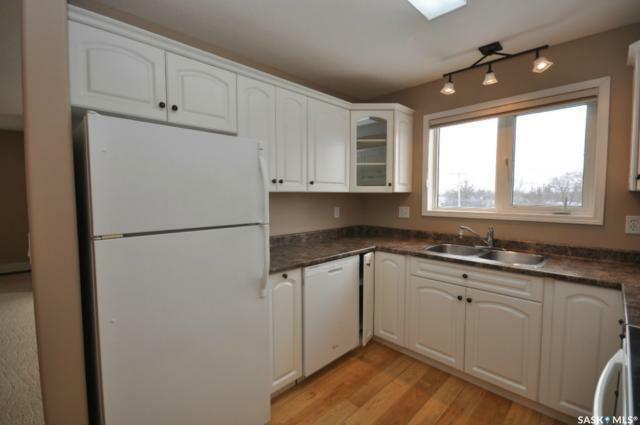 Enjoy Two bedrooms, two bathrooms, open concept kitchen, living room and dining room and 6 appliances. The Master bedroom has walk through closets and 3 pc bath. . 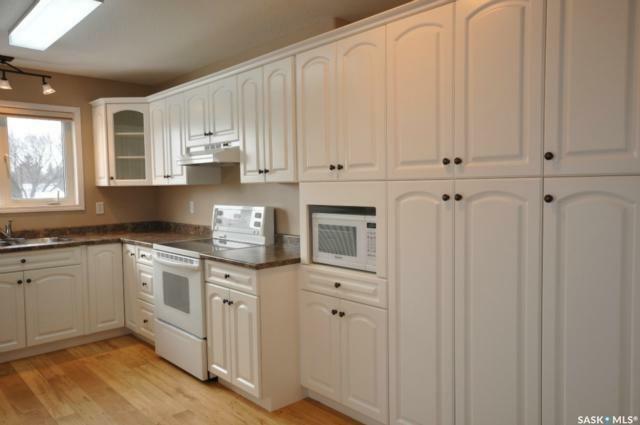 Features include a Large laundry area with lots of cupboards and storage area. Have a coffee on your deck with fabulous prairie view. This condo has had updates including fresh paint, new counter top, new cabinet hardware, new window and door casings, new interior doors, and new light fixture in kitchen. This Condo has Nice big windows with lots of natural light. Give me a call for a tour ! 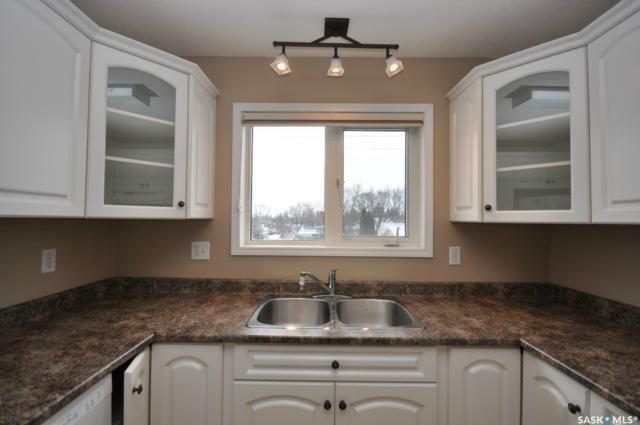 Listing courtesy of Royal Lepage Wheat Country Realty.